Lama Zangmo will be leading an 8 day retreat at Samye Ling from 12th-20th August. The retreat programme will be a balanced schedule of teaching sessions, breaks and plenty of time given to meditation sessions throughout the day. Full details can be found on the Samye Ling website. 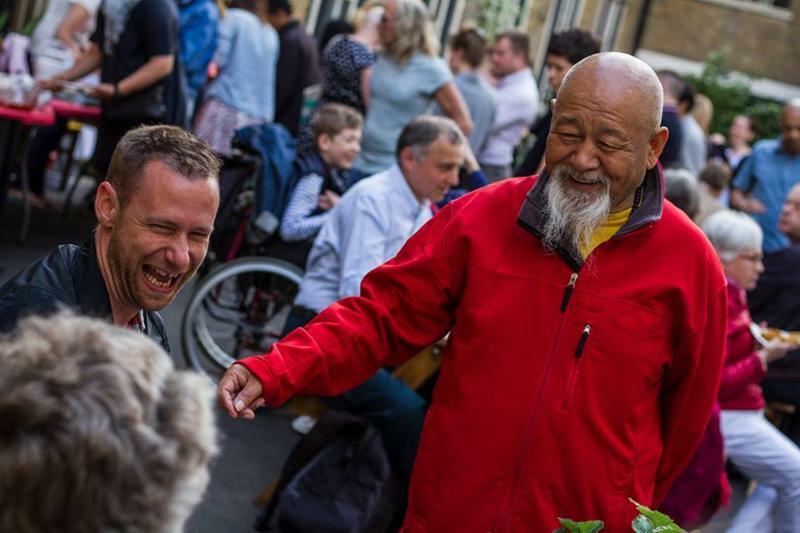 "Join us this coming Friday from 6.30pm for fun and fundraising in the presence of our esteemed abbot, Lama Yeshe Rinpoche. Not only is it a rare opportunity to enjoy his joyful presence in an informal setting, there will be delicious hot food and cakes, a raffle, face-painting and - our star event - a goods and skills auction. With over sixty lots - ranging from beautiful deity thangkas and framed one-off photos of His Holiness Karmapa's first London visit, to kayaking on the Oxford canals and an hour's tattooing session - you're sure to come away with something exciting and enriching. This year, since we're raising money for two very important causes: The Circle of Nourishment and The Akong Memorial Foundation, it is especially important that we raise as much money as possible to support both charities' invaluable work. The Circle of Nourishment provides much needed support for mothers and their new-borns who, in the tough environs of South Africa's shanty towns, have practically nothing to sustain themselves after an often traumatic labour and delivery. The Akong Memorial Foundation works hard to support the monks, nuns and lay community that depend on Dolma Lhakhang Monastery and its surroundings, situated in an extremely high and remote area of the Tibetan Plateau. It is the seat of our late founder Choje Akong Tulku Rinpoche and Samye Ling's sister monastery in Tibet. 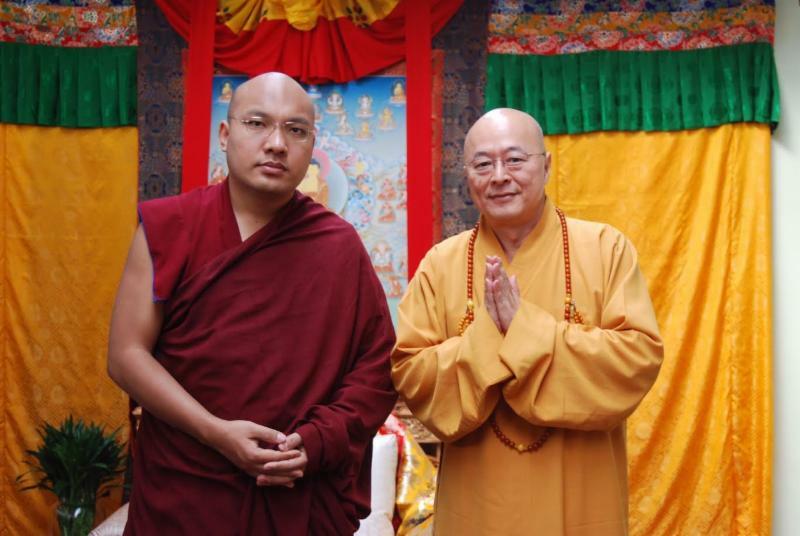 The Foundation's work also includes making provision for the recognition, education and upkeep of the Third Akong Tulku. All proceeds from Friday's event will be split between both charities; so bring lots of change, practice generosity and be sure to tell your family and friends - all are welcome!" Courtyard Fundraising Party - Friday 7th July, 6.30-9.00 pm. See a full list of the goods and skills on offer at the auction on our website. If you want to formally become Buddhist by taking refuge, please let the office know in advance. During the ceremony everyone presents an offering and a white kata (scarf). There will also be an opportunity for anyone to take precepts at this time. The Ceremony will be explained in Ani Lhamo's talk. 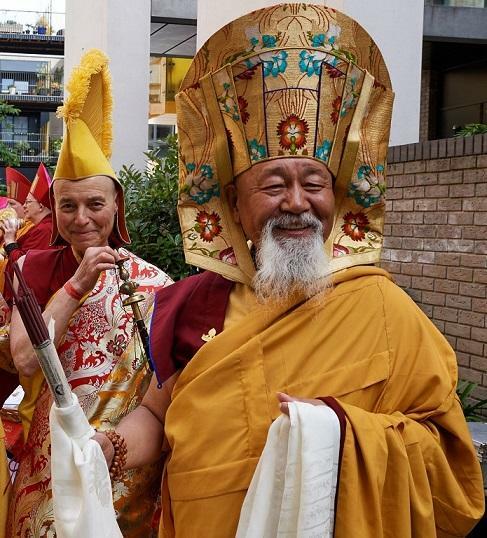 These prayers will be dedicated to the long life and continuing activity of His Holiness 17th Gyalwang Karmapa, Choje Lama Yeshe Losal Rinpoche and all our great lineage Masters, as well as celebrating the (late) Anniversary of Samye Dzong London. Offerings of fruit, flowers, snacks etc are welcome for the tsok puja. 2.15 - 2.45 pm Children's Blessing with Choje Lama Yeshe Rinpoche. Children and young people of any age are welcome, along with their parents. Choje Lama Yeshe Losal Rinpoche will be visiting Kagyu Samye Dzong London from Friday 7th to Sunday 9th July. Full details of the programme for the weekend can be found on the website. We are delighted to welcome Master Hai Tao on a return visit to Samye Dzong London. 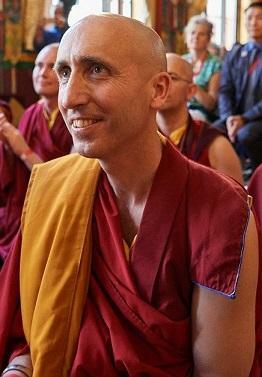 He will be teaching on Compassion and Bodhicitta on Saturday 22nd July. 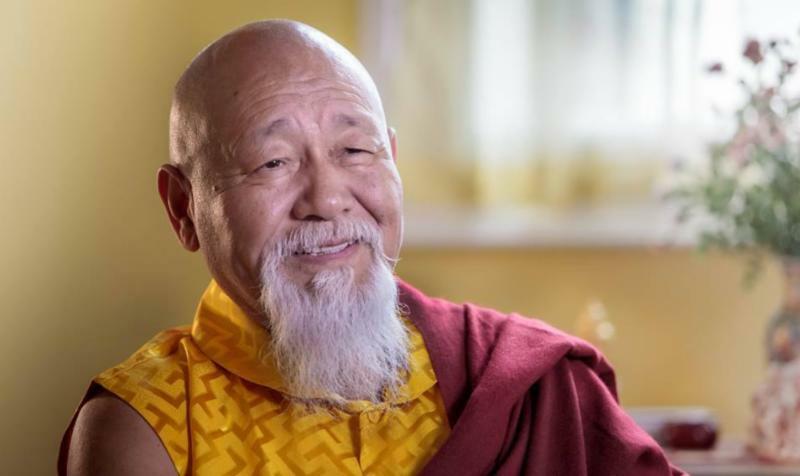 "Vowing to save the sentient beings from suffering rather than seeking personal happiness" is the code of conduct for the Venerable Master Hai Tao. The Venerable Master Hai Tao is the founder of Compassion for Life Organization. He first became a monk in 1993 after visiting Huei-Rhi Lecture Hall in Taipei; an experience in which he was touched by the Buddha statue's low brows and gracious eyes"; as well as the relaxing manner of the monks. After becoming a monk, Venerable Hai Tao actively preached Buddha's teachings. He not only established Taiwan Life TV airing shows 24 hours a day; but also created many diverse social organizations in order to help the worldly bodhisattvas(people) gradually achieving Bodhisattva-hood. Teachings on the three yanas, or vehicles, which are the three levels of training taught by Lord Buddha, and which are practiced as a unity in Tibetan Buddhism. There will be special instructions on how to deal with negative emotions through the methods presented in the different vehicles. Traditionally these are Hinayaya, the path of letting go, Mahayana, the path of transformation, and Vajrayana, the path of pure perception. We will explore how the three yanas are practiced together in the Tibetan tradition, and there will be teachings on subjects such as renunciation and the Four Noble Truths, compassion and the Six Paramitas, and Buddha Nature and the visualisation of deities. There will also be teachings on the importance of lineage and following an authentic tradition under the guidance of one's teachers. The Three Vehicles of Buddhism with Gelong Thubten takes place on the 22nd and 23rd July, 10.00 - 4.00 pm. To book your place now use the Donate button at the bottom of the course page on our website. With the continued demand for introductory meditation and mindfulness courses we have added 2 new ones: a two week course this month and a one day introduction in August. During these courses, led by Gelong Trinley, you will have the opportunity to explore the methods employed to bring a sense of ease to the mind through the practice of meditation. Calm abiding meditation (Shinay in Tibetan; Shamtha in sanskrit) is accomplished through the development of mindfulness, which can be described as an ongoing awareness of what we perceive. By training in focusing this awareness stably in meditation we can give rise to a more peaceful mind. Meditation and mindfulness, practised regularly over time, have strong potential to make one's general state of mind more positive: increasingly we can become free of habitual reactivity, unhelpful emotional patterns, and limited ways of seeing ourselves and others. With a more open and relaxed mind we will have less stress resulting from our living situation, and less tendency to be thrown by the ups-and-downs that life presents. This course is designed to provide those with rather little or no meditation experience what they need, in terms of techniques and understanding, to establish an ongoing and fruitful practice of calm abiding meditation. PLEASE NOTE - our introductory meditation classes tend to fill up quickly, so booking a place in advance is absolutely necessary. We can only guarantee admission to those with a confirmed booking. We do ask that people booking for this course commit to attend all the scheduled classes. If you are unable to commit to full attendance, please do not reserve a place which could be given to someone else. Meditation and mindfulness for beginners with Gelong Trinley takes place on two Wednesday evenings 12th-19th July, 7.00-8.30 pm. There is also a one-day version of this course taking place on Sunday 20th August To book your place, use the Donate button at the bottom of the course pages on the website. The centre will close after the Chenrezig puja on Sunday July 23rd and will reopen at 14.00 on Wednesday August 16th.